Time spent: a total of 27 Hours 53 Minutes and 47 Seconds. Comment: I actually enjoyed playing it. I like the fact that I didnt have to pick up what the enemy left after its dead. its auto pickup. However, i wish they could provide the airship much sooner. I got tired of the ship after a while. Ever since I started Chambering I had this weird habit of staying inside my house for 24 hours on Sunday. Its because, I want to rest for the whole day and that includes resting from walking out of the door. Another reason is that on the evening i will start working on any pending files that i had so that i can perform for the rest of my weekdays. And that will take all my spiritual and emotional energy. 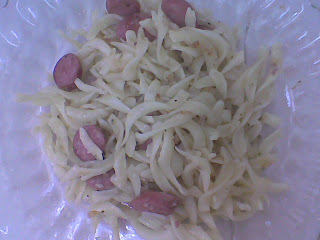 5) I fry the blend of the onion and garlic with the melted butter and then i added two spoons of cooking oil. 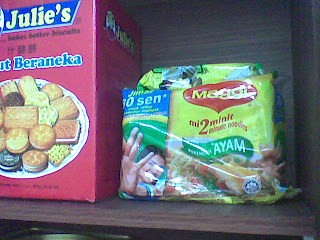 11) add some more pepper; and12) walla, the weird thing that i ate immediately. 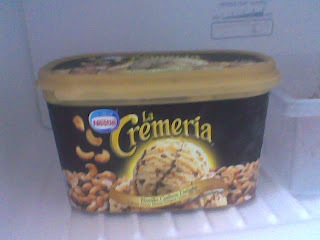 So, this is my brunch (at 1.50pm today). How about previous sunday's brunch? Fried Maggi with some onions and egg. Storm Warriors II: Great CGI. However, i wish there were more and longer fight scenes. Its definitely more high-tech and prettier than Storm Riders however i feel that Storm Riders had a better storyline. Perhaps when i watched SR I was younger hence easily impressed. so all i can say is that i liked SR better. Besides, back in 1998 all the scenes in the comic that i read about this story is still fresh so i relate more to SR. they had a translated into Malay language version of Fung Wan comic back then known as Pedang Setiawan. 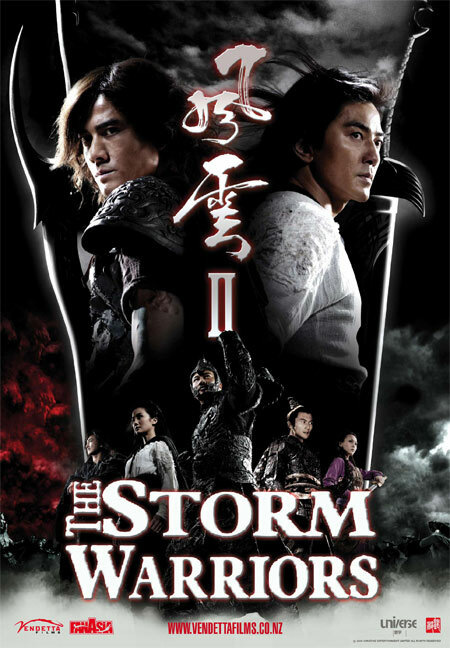 But i do also feel that the the maker of this film focused too much on the CGI and forgot about choosing the right the story to go with it because all the actors in this film is great Chinese actors such as Ekin Cheng, Aaron Kwok, Nicholas Tse and not to mention all the veterans (and they were all my favorite too) and they definitely can pull off better dialog and expressions. I do not say that they should change the storyline as it already is and its a great thing that they didnt divert much from the original comic, i'm just saying that there are a lot of better interesting parts of the original comic that can be made into this movie given all the CGI that they are using. 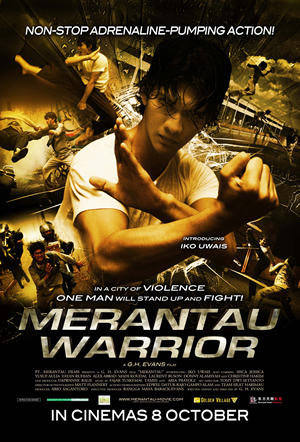 Merantau (2009): Great fight scenes. I actually had to rewind a few times just to make sure i watched every moves. You can see how silat is different than any other forms of Martial Arts. In this movie, they showed Silat Harimau. It is interesting but there are many other forms of silat too. however, i am glad that this time around in silat movie the actor is skilfull in silat hence his acting potrays the greatness of silat. to me, silat is more purposeful and dignified than other forms of martial arts. the moves may appear like a dance, however, it actually aims for the vital organs to kill or joints to weaken the opponent. It also show that silat by itself is great to watch and we do not need much CGI EFX (if any) to show the gravity of each hit in a movie. Towards the ending of the movie you can compare silat and boxing. while silat aims for vitals and joints, boxing aims for face and abdomen. i already told you my stand so i do not need to repeat that this is one of the reason why i say silat is more dignified. Ong Bak 2: Well, what can i say? I had many moments of gasping and open mouthed gaping. I momentarily thought that it'd be the sequel of Ong Bak but this is definitely different. No wonder all the essence of the fight scenes is captured beautifully since the film is co-directed by the fighter himself: Tony Jaa. For a fighting film...the storyline and the epic/fantasy setting is definitely impressive. Love all the CGI. My only complaint is that there is too many types of martial arts. so you cannot see the beauty of one particular martial art. you see glimpses of a lot of thing. I detected some drunkard kung fu and loved the scenes where Tien revenged against the slave trader. But in the end he couldnt get his revenge against the ultimate boss. too bad. Perhaps this is the logical side of the story that is you cant logically kill the entire army by yourself. haha. and also the moral side of it that is revenge isnt always sweet. so...whaddaya say? action packed sunday? lol. And the winner is......MERANTAU WARRIOR! what can i say... i am bias plus Iko Uwais is cute.